In accordance with article 17 of the Federal law 125-F3, the case of dismissed employees to be transferred to the archive. Before the surrender documents must be filed, numbered, to produce inventory and make the cover. It must be done by an authorized employee of the personnel Department. To refer the case to resigned employee in the archives put the documents in reverse chronological order. This means that employment you were a private matter, the first sheet of which was the statement of work. The submission of the case to the archive the first sheet is a statement about the dismissal. Hemming a private matter of the employee, at the same time make an inventory of filed documents. In a personal matter for transfer to the archive file all the documents: resume, copies of education certificates, copies of orders on hiring, dismissal and other orders that were published in the working process of the employee. It can be orders to increase or decrease of the salary, on transfer, on the execution of additional duties etc. and attach all certificates which have ever presented to the employee in your organization, a copy of the labour contract, additional agreements, regulations relating to the work of the employee. Hem the thing in a folder folder, number all the leaves in the upper right corner. This should be done in pencil. Top hem the inventory, sign the folder, put the code letter in the initial letter of the surname of the employee, as well as on the cover of the folder in large figures the year of dismissal from your company. The accounting year of layoffs you can be one employee or several, resigned in one year. If you need accounting for several employees, you put all your personal Affairs in the same shared folder and sign the year of the dismissal on the cover. In the same folder can store up to 250 sheets. Every complex case match not only for the year of dismissal, but in alphabetical order of surnames. When transferring all files to an archive, make a routine inventory. In the first column indicate the ordinal numbers of the cases, the second indexes of all cases by item. The third column is filled according to the name of headers, a fourth date, the fifth – the number of sheets, the sixth – in terms of storage, the seventh Earl you can fill out, if you have notes or additions. Employee records stored in the archives for 75 years from the date of receipt. If necessary, they are issued certificates for registration of the pension confirmation of seniority or other information, but only personally retired employee or by court order. Distinction document documentation that requires permanent storage, temporary storage, or destruction is carried out in strict accordance with the rules of work of archives of organizations and special instructions of the state archive. Regardless of, do you send the documentation deposited in the private enterprise archive, municipal archive or the state archive of the Russian Federation, the clearance must be carried out in compliance with all applicable requirements. The first stage of preparation of documents for transfer to archive is the examination of the value of documentation, the purpose of which is to identify the documentation that needs to be destroyed, and the documents subject to storage and also determination of the periods of storage of particular documents. After the examination is carried out registration of deeds and preparation of records for archived documents. For assessment documentation assessment organization is selected by the expert Committee, which conducts the expert selection of documents for the transfer to the archive. 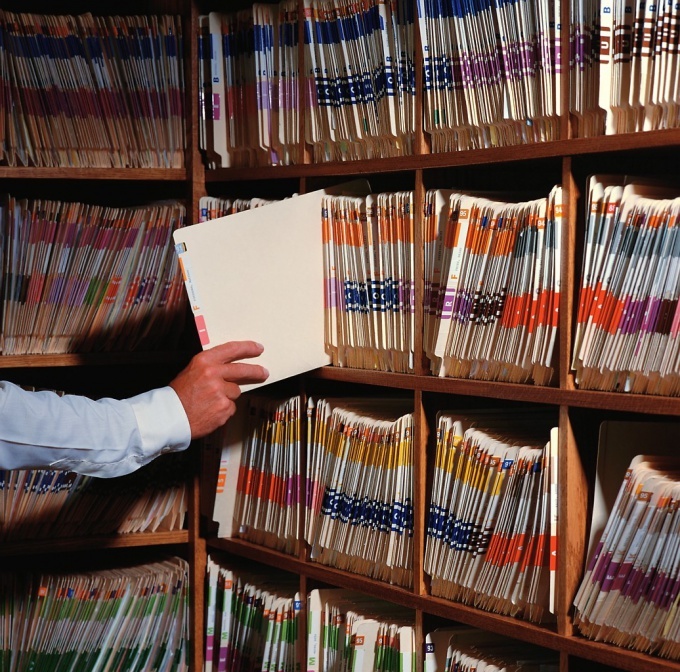 After selecting the documents subject to storage, it should be issued according to the rules of archiving. There are specialized companies offering services for registration of documents in the archive, but in General, to cope with this task on their own. 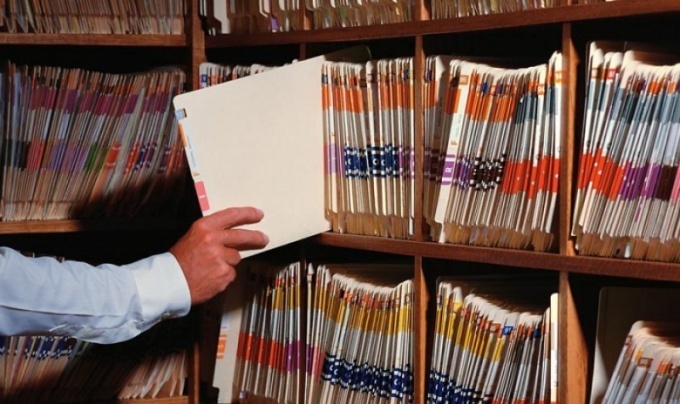 Documents storage are combined in a case, the total number of sheets in one case can not be more than 50. Cases intended for permanent storage, it is necessary to stitch in hard cover. Numbering of pages is in pencil, the page numbers stamped in upper right corner. At the end of each case, a separate sheet must be attached page the inscription (the number of sheets in the case, certified by the signature of the originator). On the cover of the case intended for permanent storage, you must specify the official name of the organization, number of the case in accordance with the nomenclature of the organization, the name of the case, the number of stitched sheets, a deadline by which you want to store the case or specify that it is subject to the permanent storage, archive number that receives the case number and the inventory of the things in this archive. The cover should be filled in legibly, using permanent ink.